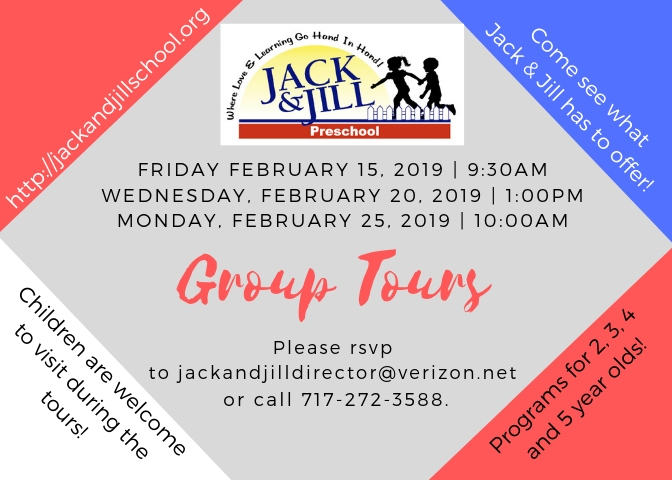 Jack & Jill Preschool • Lebanon, PA – Quality preschool programs which foster creativity, curiosity, and self-expression in each child. 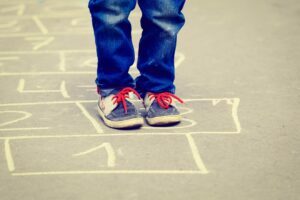 Through personal attention, which celebrates uniqueness of each child. Our goal is to instill a love of learning that last a lifetime. 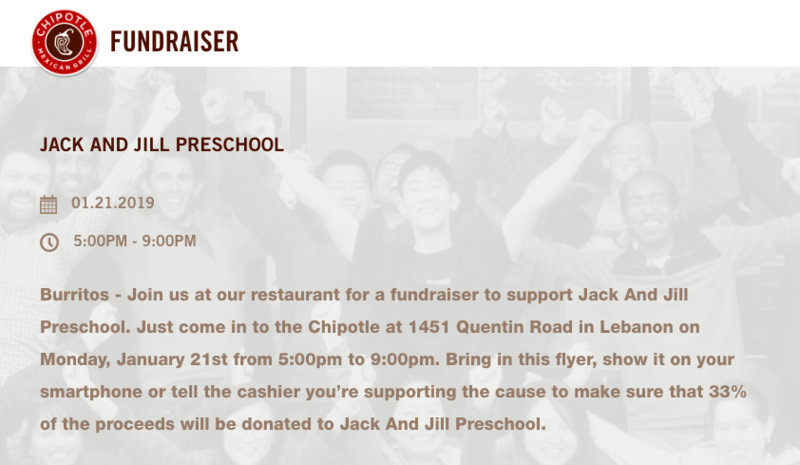 Have you RSVP’d for Jack & Jill’s biggest fundraiser of the year!? 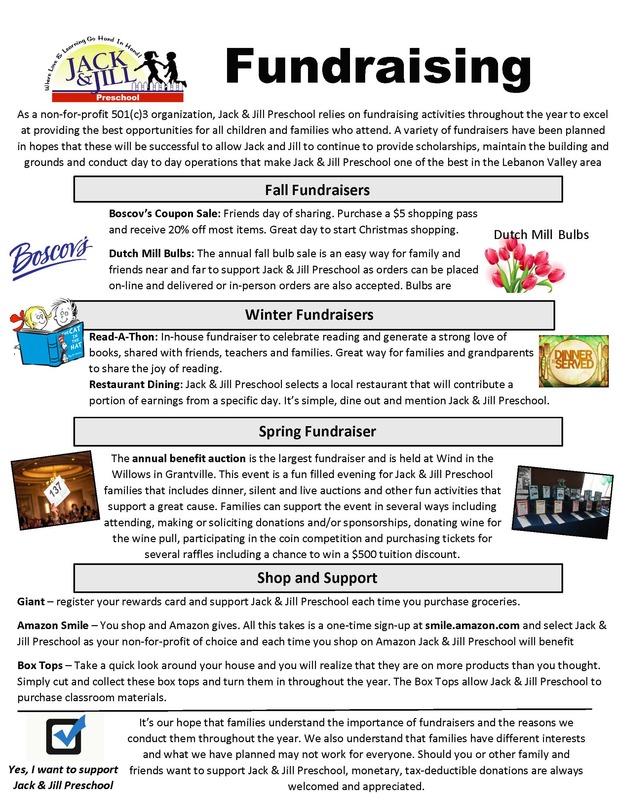 The Annual Jack & Jill Benefit Auction will be held on March 30th! 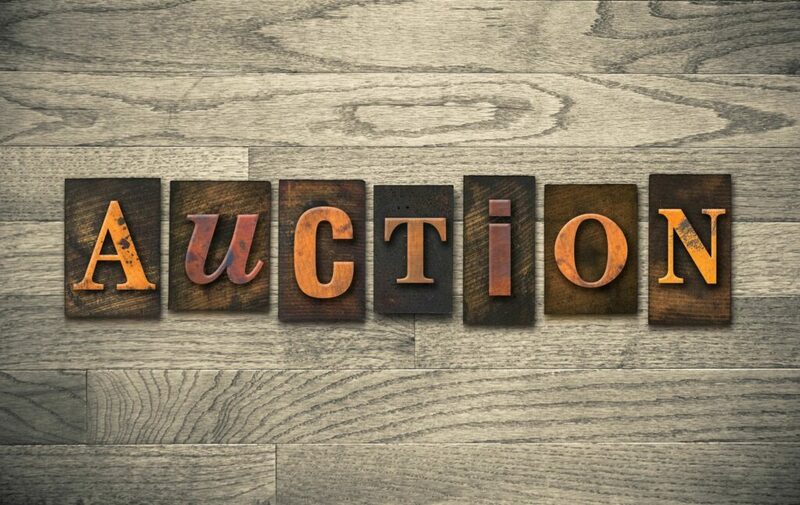 Check out the Auction Newsletter for exciting new auction items and details. 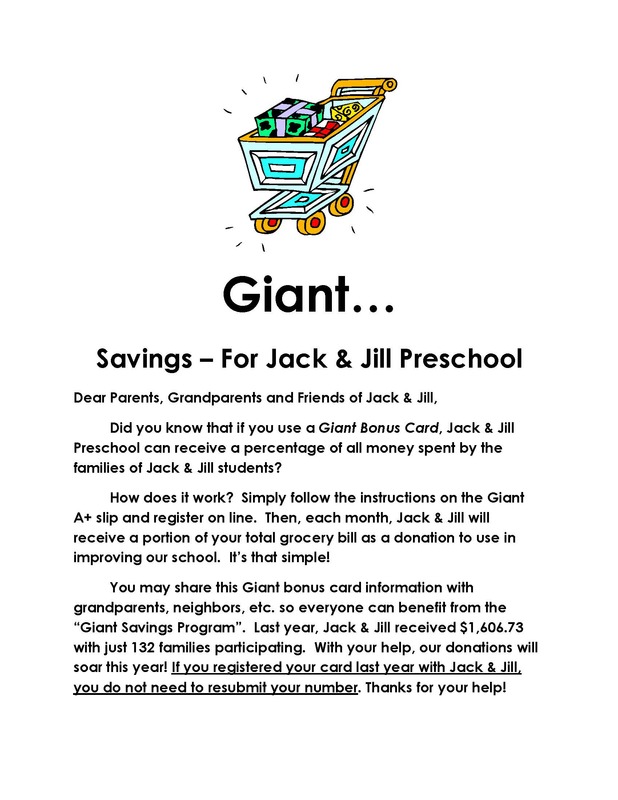 Jack & Jill Auction – Vacation Details! The 2019-2020 Jack & Jill Registration forms have been posted! 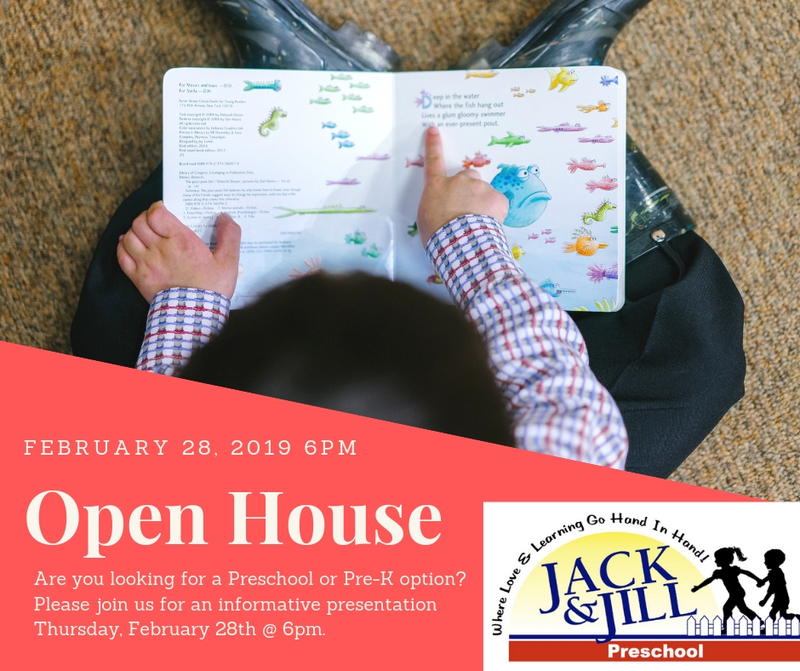 *Please note this open house is a formal parent presentation. Children are welcome to visit the school during one of our group tour (see below) times.